Need Advice – Ask The Coach! 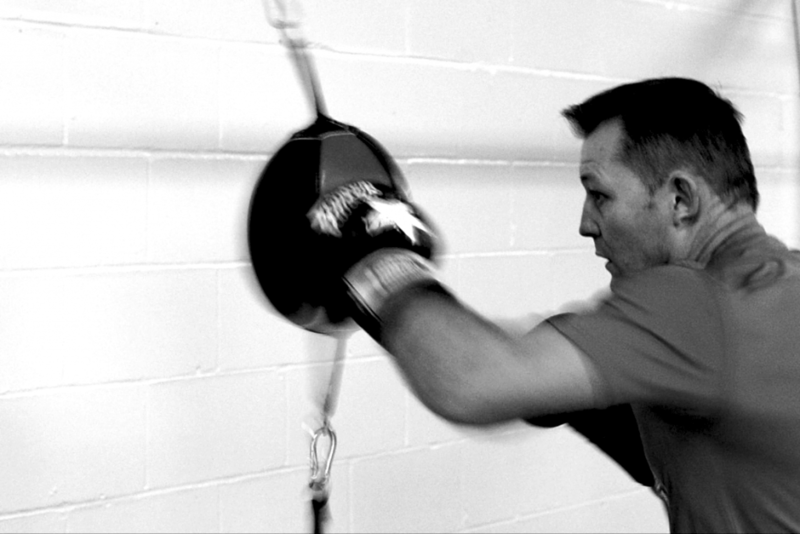 You are here: Home / Boxing Advice / Is The Speedball or Speedbag Good For Boxing? Is The Speedball or Speedbag Good For Boxing? We’ve had a very good question from Bernard this week about the Speedball / Speedbag – So I thought we’d make a post about it. Hi, Corney. I’ve just come across this section via your facebook page. This is a great idea for us to be able to get some expert advice. I’ve a question about the speed bag. I’ve used one a few times in various gyms and they are definitely fun to use. And I was thinking of getting one for my garage home gym set-up. But alot of people seem to think that they’re fairly useless as regards to improving your boxing ability. For example, they’re meant to improve hand-eye co-ordination but when you get used to them you can still hit them with your eyes closed ! I like to throw normal punches at them like jabs, right crosses and uppercuts and also ‘trap’ the bag so there is definitely some hand-eye co-ordination skill involved there rather than just hitting it as fast as possible like most people normally do. People do say it builds up your shoulder muscles and so helps you keep your hands up but maybe you’d get the same benefit from doing a bit of shadow boxing with dumbells. 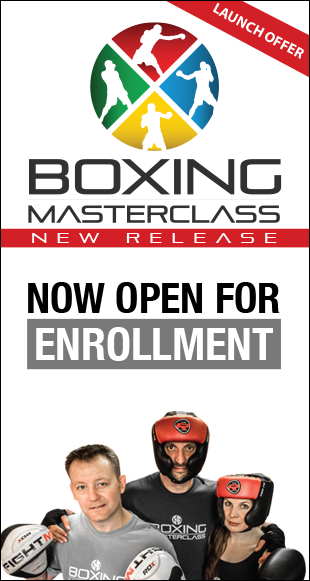 I’m going on a bit here but I guess my question is – Does the speedbag offer any unique benefits to boxers that you couldn’t get from other gym equipment like say the double-end bag? Thank you. Thank you for your question Bernard. You’re absolutely right, the speedball / speedbag is a fun piece of kit. You’ll quite often see boxers punching away on these for TV interviews, because it shows off their speed and ultimately it looks cool :-). But does it enhance your boxing ability? Yes it will – Boxing isn’t just about the fight skills, it’s about doing things to help your body become a better boxer too. Obviously you won’t jump in the ring with an opponent and start rotating you hands into their face like you would on the speedball / speedbag – but there are some great benefits of training with this piece of equipment (some of which you’ve already pointed out in your question). 1. Hand Eye Co-ordination – the speedball is great for this – I take your point about doing it with your eyes closed, but you shouldn’t be able to do this if you’re using the speedball properly. When you’re using the speedball you should be trying to test yourself, e.g. changing the amount of punches and altering the speed and power. 2. Rhythm & Timing – sounds strange that a boxer needs rhythm, but it’s an important part of boxing. The rhythm you throw your combinations, changing your rhythm and timing up when you need to, and reading your opponents rhythm – are all key skills you need to learn for the ring. 3. Shoulder Workout – shadow boxing with dumbbells is another good exercise, but not the same as punching the speedball. Your friends are correct in saying it will help build muscle endurance, which in turn will help you keep you guard up, but you could accomplish this just by keeping your guard up as an exercise. The speed ball not only keeps your arms up helping shoulder endurance but keeps your arms moving and moving fast as well. Plus you have the added benefit of the impact and slight resistance against your punches. 4. It is fun – you’re right when you say it’s fun and we all need fun in our training. Boxing is about constant practise and getting the basics right. Sometimes all this practise can lead to a “going through the motions” mentality, so any piece of equipment that can inject some thinking and some fun into the session is a bonus. So does it offer unique benefits? – yes, I think it does. The double-end bag (or floor to ceiling speedball) is another great piece of equipment and there are some similarities in some of it’s benefits compared to the standard speedball – but I think they will both enhance your training. Personally throughout my career I used both the speedball and double-end bag equally in my training – I have no preference between the two, I enjoy training with both of them and believe both of them have something to offer to improve your boxing skills.